KATHMANDU, April 8: Nepal national team spinner Sandeep Lamichhane has now 50 wickets to his credit in T20 matches. He reached the milestone when his side Delhi Capitals defeated struggler Royal Challengers Bangalore by seven wickets in the ongoing Indian Premier League in Bangalore on Sunday. 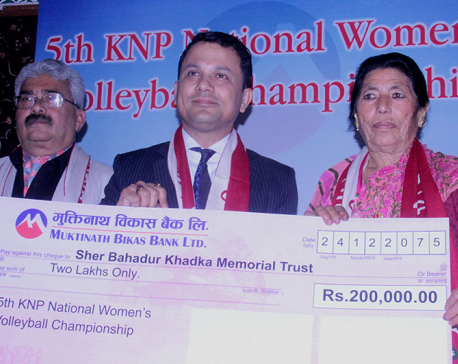 KATHMANDU, April 8: Sher Bahadur Memorial Foundation has signed a contract with Muktinath Development Bank to reward the winner of the fifth KNP National Women’s Volleyball Tournament. The foundation’s patron Gamali Khadka and the bank’s Chief Executive Officer (CEO) Pradhunna Pokharel signed on the agreement amid a press meet organized in Kathmandu on Sunday. 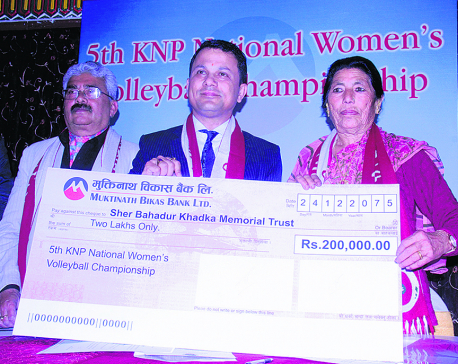 KATHMANDU, April 8: Sher Bahadur Memorial Foundation has signed a contract with Muktinath Development Bank to reward the winner of the fifth KNP National Women’s Volleyball Tournament. 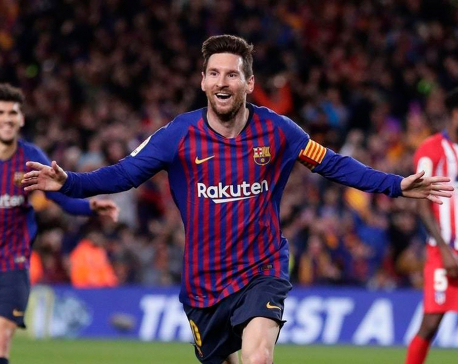 BARCELONA, April 7: Barcelona closed in on the La Liga title after beating 10-man Atletico Madrid 2-0 in Saturday’s top-of-the-table showdown at the Nou Camp as late strikes by Luis Suarez and Lionel Messi gave the Catalans an 11-point lead at the top of the table. 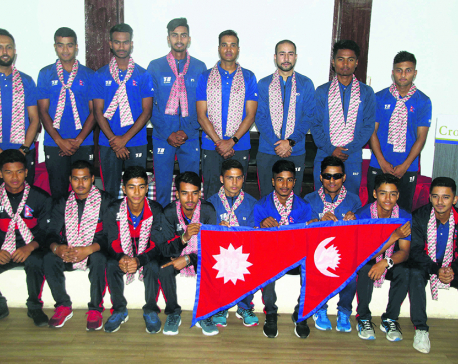 KATHMANDU, April 7: Nepal U-19 national cricket team was given farewell amid a function held in Kathmandu on Saturday, prior to their travel to Malaysia to participate in the ICC U19 Cricket World Cup Qualifier Asia 2019. 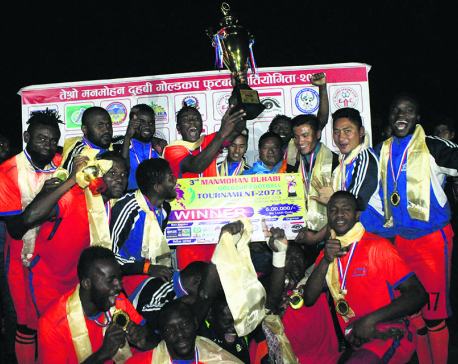 ITAHARI, April 7: Cameroon’s Dauphins Football Club has lifted the third Manmohan Duhabi Gold Cup football tournament with 8-7 sudden-death win over the departmental team Tribhuvan Army Club in Itahari on Saturday. KATHMANDU, April 6: A 3-1 defeat against India means that Nepal’s women’s national football team won’t be able to qualify for the 2020 Summer Olympics in Japan. 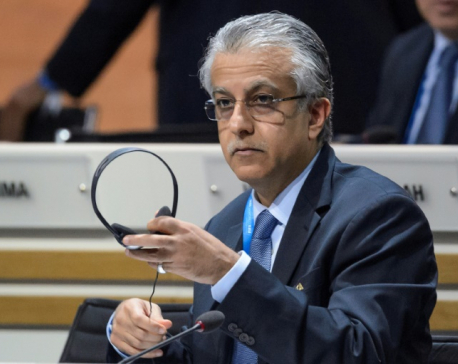 KATHMANDU, April 6: The 15th general assembly of Nepal Sports Journalist Forum (NSJF) has elected Devendra Subedi as its new president on Friday.